Worksheets help children to practice and hone their skills. The complexity of questions will increase as more worksheets are practiced. It will be a slow progression from simple to higher thinking order questions on any particular topic. Question: What is required for practising the worksheets? Answer: A computer along with internet connection is required. It is good if you keep a notebook and a pencil or a pen handy with you. Question: What is the ideal way of practicing with worksheets? • Practice should be a regular feature. • Practice worksheets on any particular topic in the order given so as to maintain the flow of the things. • Practice in a calm environment. Question: What features do I get with the worksheets? •	Worksheets are like test papers prepared for you. •	On completion of the worksheets you can check your score as well as see the time taken by you for the completion of the worksheet. 	On clicking the check button you immediately come to know whether the question attempted by you is correct or incorrect. 	On pressing the check button you also get detailed explanation for each question. 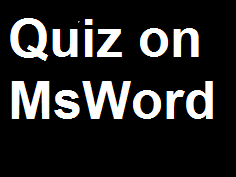 •	After checking the question you can move on to next question by clicking on the next button at the bottom.